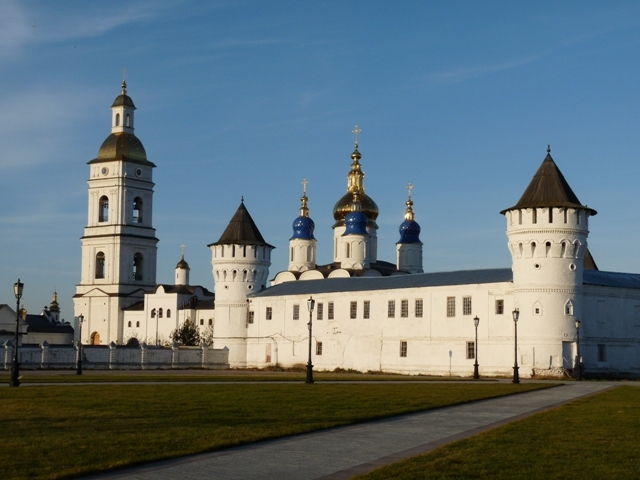 Tobolsk was founded in 1587. For quite a long time it was the capital of Siberia. It became the seat of the Viceroy of Siberia and prospered on trade with China and Bukhara. It was there that the first school, theatre, and newspaper in Siberia were established. 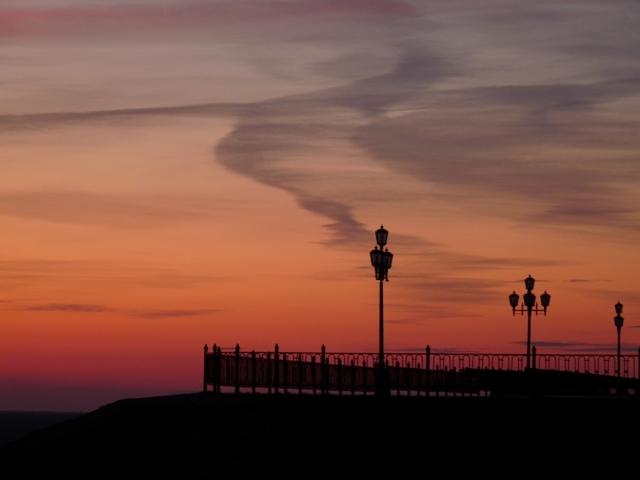 The city's importance declined when the Trans-Siberian Railway bypassed it in the 1890s. 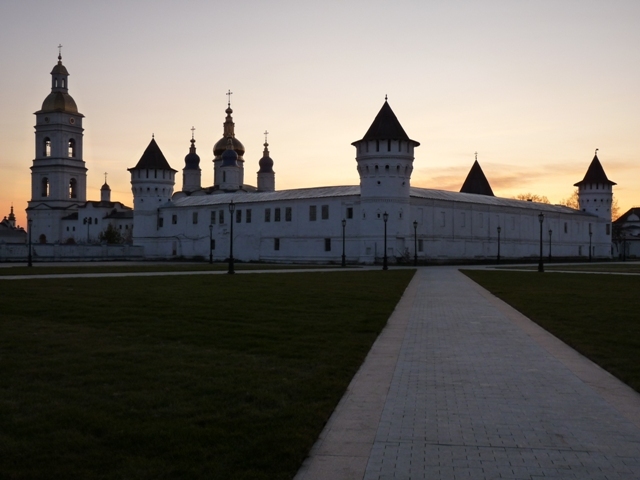 Tobolsk is the only town in Siberia and one of the few in Russia which has a standing stone Kremlin from the turn of the 17th and 18th centuries. Its white walls and towers with an ensemble of churches and palatial buildings spectacularly sited on a high river bank were proclaimed a national historical and architectural treasure in 1870. The principal monument in the Kremlin is the Cathedral of St. Sophia (1683-1686). 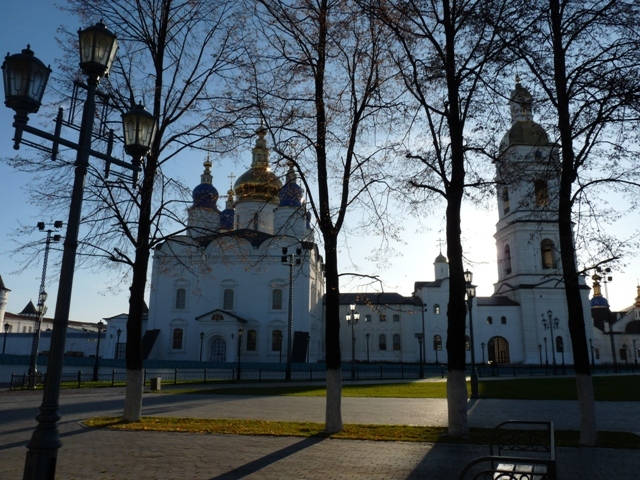 Less eye-catching is the 1746 Intercession Cathedral. 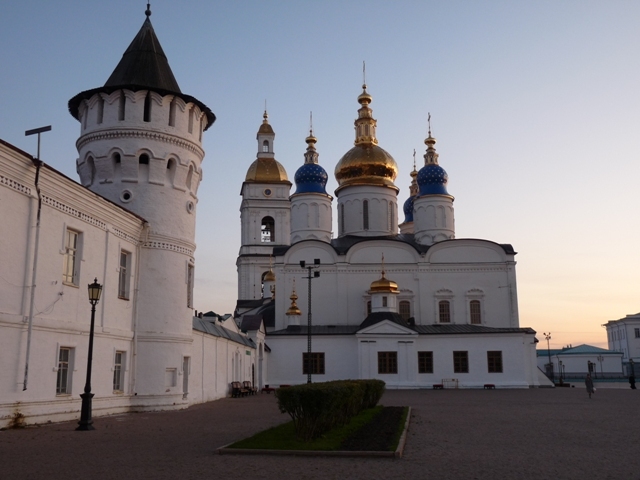 Between the two is a 1799 bell tower, built to give shelter to the unruly Uglich bell. 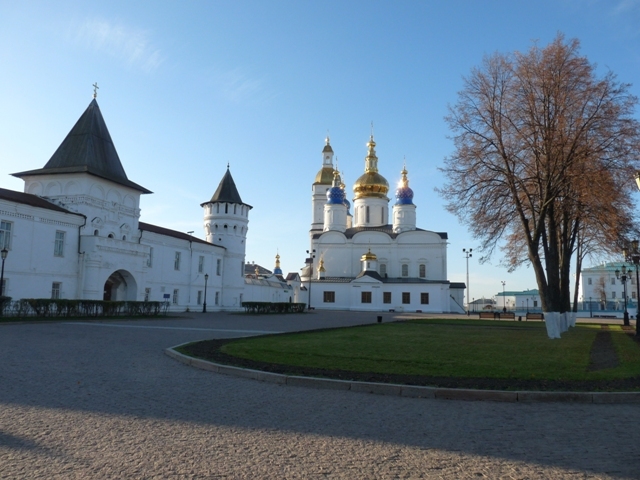 (See also Golden Ring - Uglich). The bell signaled a revolt against Tsar Boris Godunov. In fury Godunov ordered the bell publicly flogged, his tongue ripped off and banished to Tobolsk. 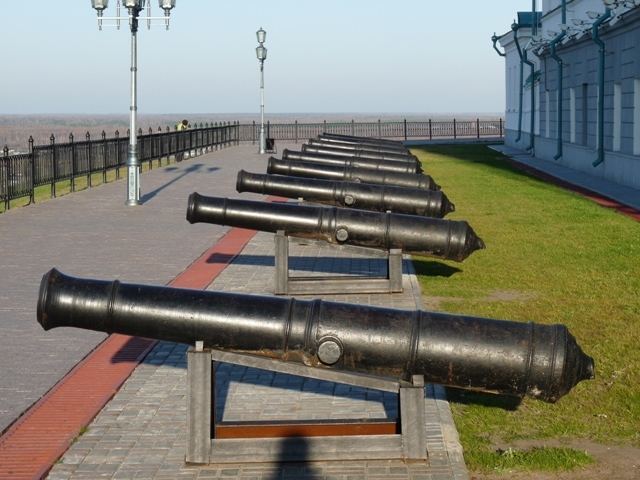 For some lovers of Russian history and Bony M music another attraction may be of a higher importance than Tobolsk. I mean the village of Pokrovskoye situated half way between Tyumen and Tobolsk. 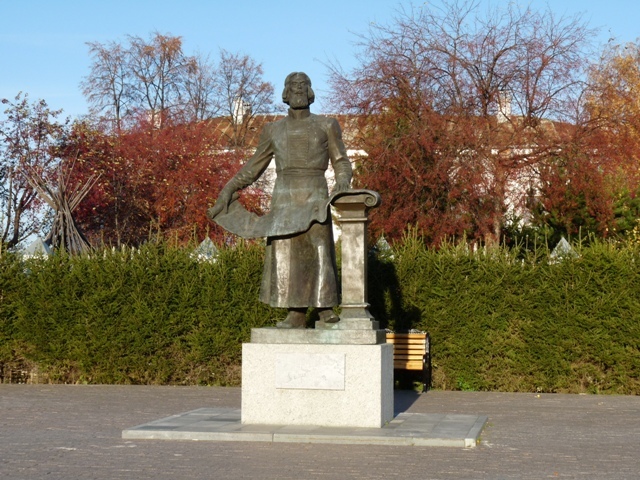 Pokrovskoe is the native village of a very controversial character named Grigory Rasputin. Rasputin was born a peasant. He spent three years in the Verkhoturie Monastery. (See Sverdlovsk Oblast). His experience there, combined with a reported vision of the Mother of God on his return, turned him towards the life of a religious mystic and wanderer. In 1903, Rasputin arrived in Saint Petersburg, where he gradually gained a reputation as a holy man with healing and prophetic powers. Once he was introduced to the Romanovs. The heir to the Russian throne prince Alexei had hemophilia. Every time the boy had an injury which caused him bleeding, the Queen called on Rasputin, and the prince subsequently got better. This made it appear that Rasputin was effectively healing him. Rasputin soon became a controversial figure, becoming involved in a sharp political struggle involving revolutionary and other political forces and interests and was murdered in December 1916. Below are pictures of the museum and Rasputin's parents' house. The Bony M band performed their once forbidden in the USSR song "Rasputin" in the museum of Rasputin that was set up in his birthplace in 1991. The museum is privately owned and has on display a number of personal belongings of Rasputin and his family. Few of them survived after Rasputin's house was demolished in 1980. Now visitors can contemplate a genuine icon of Semeon Verkhotursky, a window finishing frame, a mirror and a chair. "Give her some sweets." writes Rasputin to the owner of the local grocery store. Holders of similar Rasputin's messages were given free of charge whatever was requested. Rasputin paid afterwards for his fellow villagers. Sitting in Rasputin's chair alledgedly enhances masculine powers and contributes to promotion at work. Abalak was the site of the ancient Tatar Kingdom of Isker. 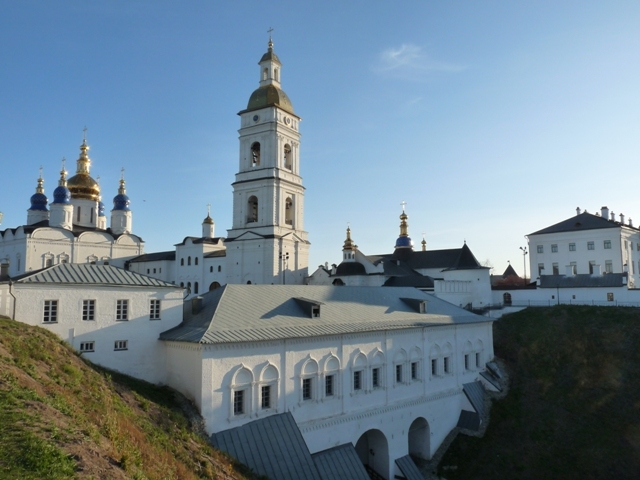 Pursuing the theme of Rasputin a car traveler can visit the Abalakov Monastery founded in 1683 and located 30 km from Tobolsk. It is the holiest monastery of the region. The mystic prayed there shortly before his murder. 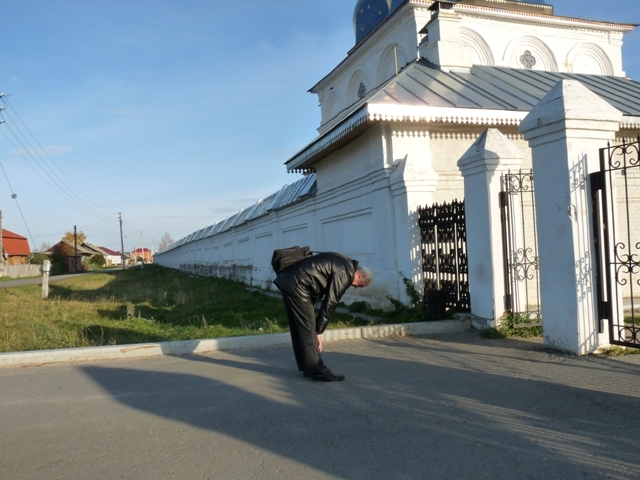 The Romanovs also prayed in the monastery while living in Tobolsk from August 1917 until April 1918. 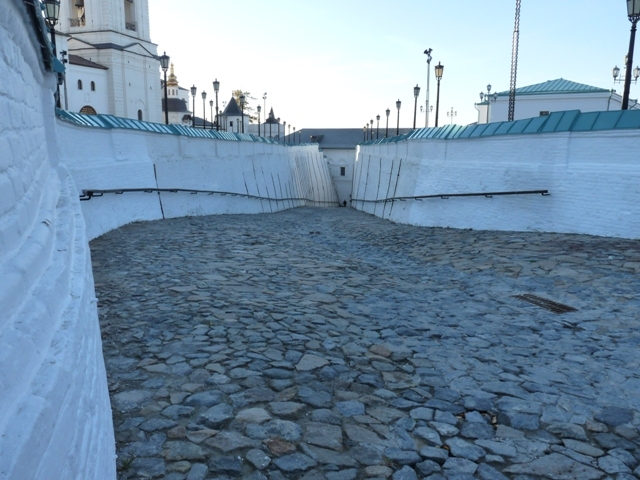 There are charming views over the bend of the Irtysh River with 249 steps leading down to the riverbank. A good exercise for a person tired of long driving.